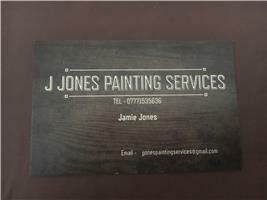 J Jones Painters - Painter/Decorator based in Colchester, Essex. My name is Jamie. I have been painting and decorating for 20 years. I am reliable and hardworking and believe in a fair days work for a fair days money. I provide internal and external painting services, including excellent wallpapering experience and also have experience in painting period properties to new builds.